Home / Elsie’s in the house! 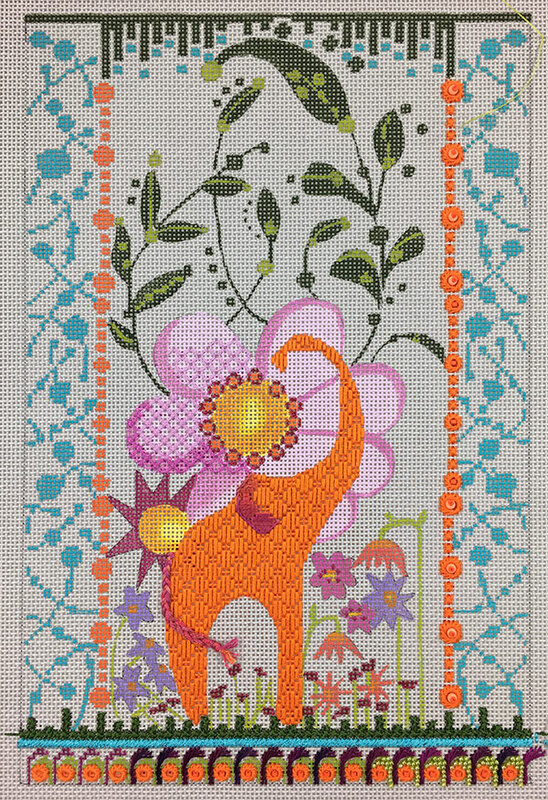 How cute is this little orange elephant? Too cute I would say. Designed by kimberly and our newest Mystery Class this is one happy canvas. Yesterday was the first lesson of this mystery class. 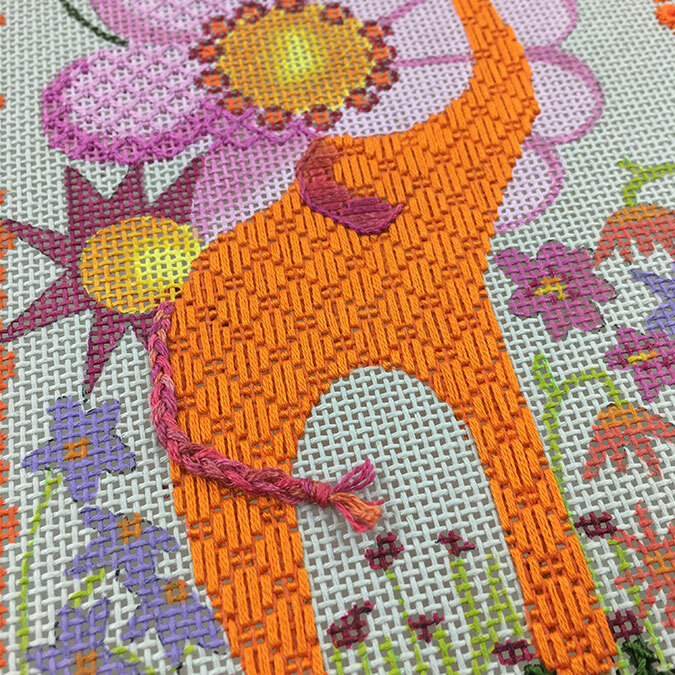 We stitched the elephant in two different sizes of balloon stitches to make her ear pop. 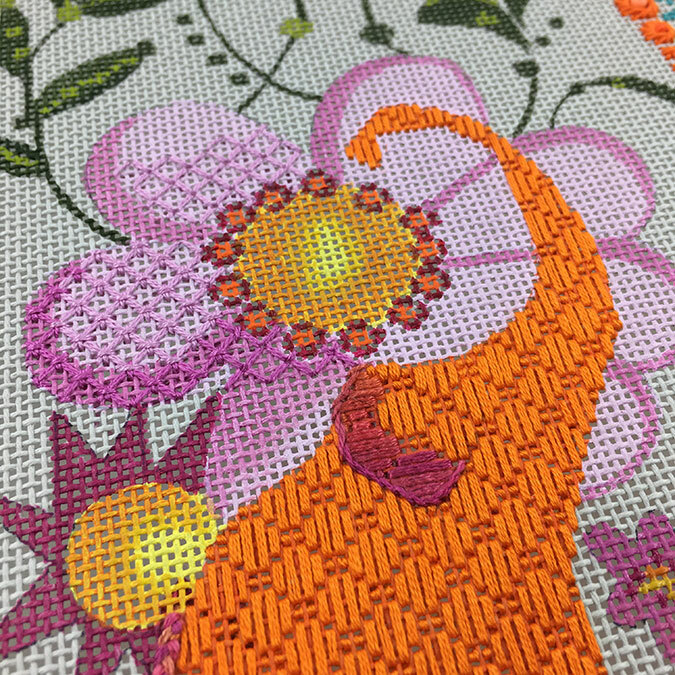 We started the big flower in the center which is going to be sparkly and fun. Well, in my head it is going to be sparkly. Stay tuned to see if I change my mind. 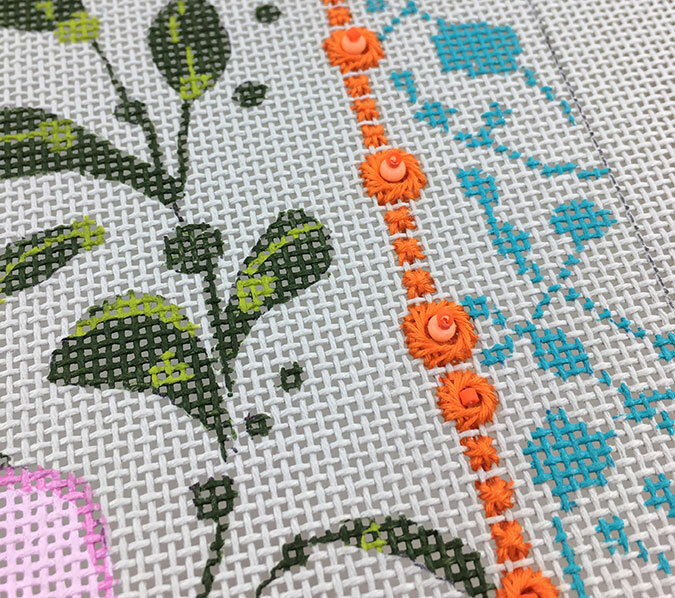 We also stitched the borders. Yes, more Jessicas. They aren’t out of my system yet. They are a slightly different configuration this time. And I still love them. They make perfect circles. I hope you love this little girl as much as I do. The second lesson is in two weeks. If you would like a complete kit, here’s the link. « Previous: Why Fit In? Here’s to many more years of great friendship!! I’m not going to count Jessica’s if you don’t!